Substance abuse disorder is a growing health epidemic in the United States. The number of deaths caused by overdose are continuing to rise, and in many areas, addiction treatment is difficult to obtain. Additionally, misinformation and misconceptions about substance abuse and the physical realities of addiction contribute to poor addiction treatment and a lack of understanding regarding the risks of overdose. When overdose occurs, the body has absorbed too much of a toxic substance. Depending on the type of substance that the patient is overdosing on, the symptoms and bodily reaction will appear different, but the end result, barring treatment, is always the same: the failure of organs and basic bodily functions. Heart malfunction: One of the first things that occurs during an opioid overdose is heart malfunction. The heart will begin beating irregularly, meaning that it’s not pumping enough oxygen through the bloodstream. This will eventually cause other parts of the body to begin shutting down, including the vital organs, like the kidneys and liver. Stopped breathing: Immediately after overdosing, the patient will forget to breathe, or will begin breathing irregularly. Suffocation is a common cause of death among opioid overdose victims. The patient may not be able to get the oxygen necessary to keep their body running after they overdose on heroin or another drug. Nervous disruption: Heroin and other opioids block essential brain function. This means that the patient won’t be able to feel any pain after taking an overdose, and that they’ll become increasingly drowsy as their body continues to struggle with the level of toxins it’s processing. Opioids cause the nervous system to slowly shut down. Lung fluid: Fluid will begin to back up the airways following a heroin or other type of opioid overdose. This condition, called pulmonary edema, is a common side effect of overdosing in Phoenix, AZ. If a patient’s lungs are filling with fluid, there’s likely very little time left to administer an overdose reversing drug. If you suspect that someone you know is experiencing an opioid overdose, there are a number of tell-tale signs that you can look out for. Common symptoms of an opioid overdose include shallow breathing, purple or black fingernails, vomiting, slow pulse and limpness. If you think that an opioid overdose is occurring, administer Naloxone right away. Advanced Sober Living is a halfway house in Phoenix, AZ helping men navigate addiction recovery. 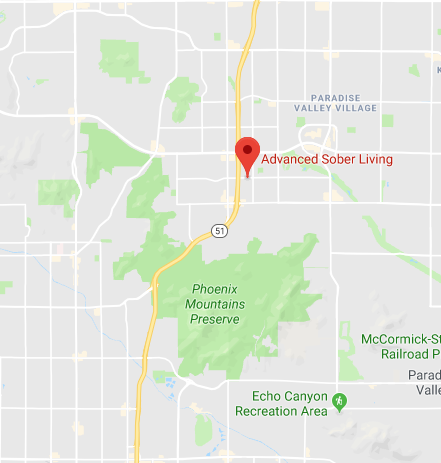 If you or a loved one is at risk of experiencing an overdose in Phoenix, AZ, reach out to Advanced Sober Living to learn more about our treatment programs and to determine if our approach to addiction treatment is right for your situation. We can help you navigate your addiction and move toward recovery. Contact us today to learn more.